Call 01442 843120 for some friendly help and advice. Contemporary wall hung toilet bowl. Please click image to be directed to the product page for full specification .. Free U.K. and EU delivery in 5 ~ 7 days from receipt of order. 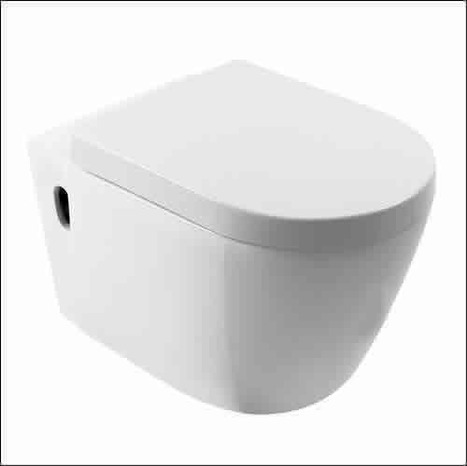 Manufactured in high grade white ceramic, this Wall Hung Toilet will not only look stunning hanging from your bathroom or cloakroom wall it will also save you huge amounts of space. 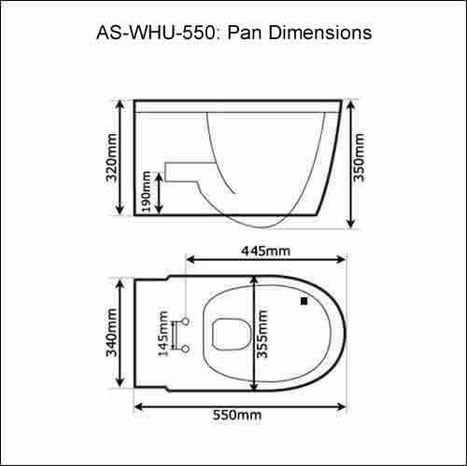 With its modern design this toilet will not only look good but also save space compared to a conventional close coupled toilet. Turn your bathroom into a talking point with the contemporary Wall Hung Toilet including Soft Close Toilet Seat. It will instantly bring a modern look and feel to your bathroom. Please click image to be directed to the product page for dimensional information and additional imager. Free U.K. and EU delivery in 5 ~ 7 days from receipt of order.